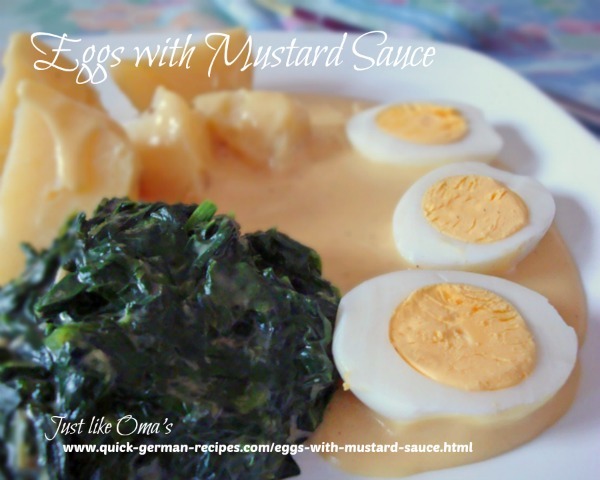 Eggs with mustard sauce recipe, aka Eier in Senfsosse! WUNDERBAR! 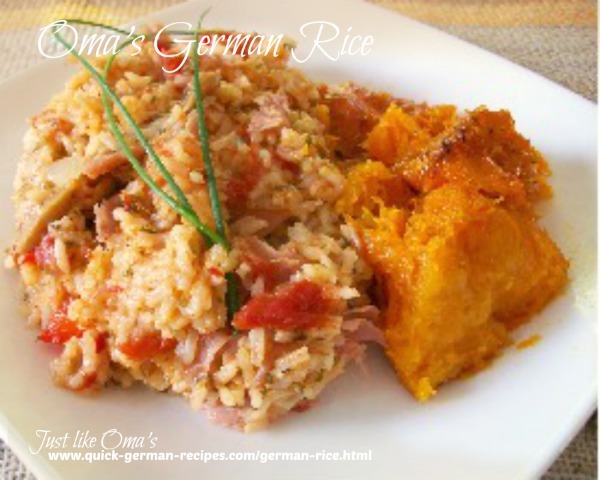 It's one of those easy and quick lunch recipes that's very common in Germany, especially in Bavaria. Perhaps you've never thought of using eggs for your protein in place of meat? In fact, that's what I used to think. 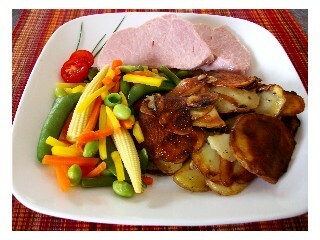 That is, until my sister, Helgrid, invited me for lunch and this German food was on the menu! What's so great about it is that it's so easy. And, it can be easily made in under 30 minutes. It's a really nice change from the usual meat, potatoes, and vegetables. Above, I've served the eggs with mustard sauce with creamed spinach and boiled potatoes as quick sides. Lecker Schmecker! In a saucepan over medium heat, melt the butter and add flour, stirring constantly. Slowly add broth and milk and stir until thickened. Add mustard. Season with salt and pepper. Add lemon juice to taste. Serve the sauce over halved eggs and sprinkled with parsley. This is just one of several recipes using eggs that have a different sauce than usual. Want to try another one that's really different? Serve the hard-boiled eggs with green sauce that's a regional specialty of Hessen, Germany, so you'll find the recipe on that page. (Somehow whenever I here of it, I think of Dr. Seuss's "Green Eggs and Ham.") It's a regional specialty of Hessen, Germany. 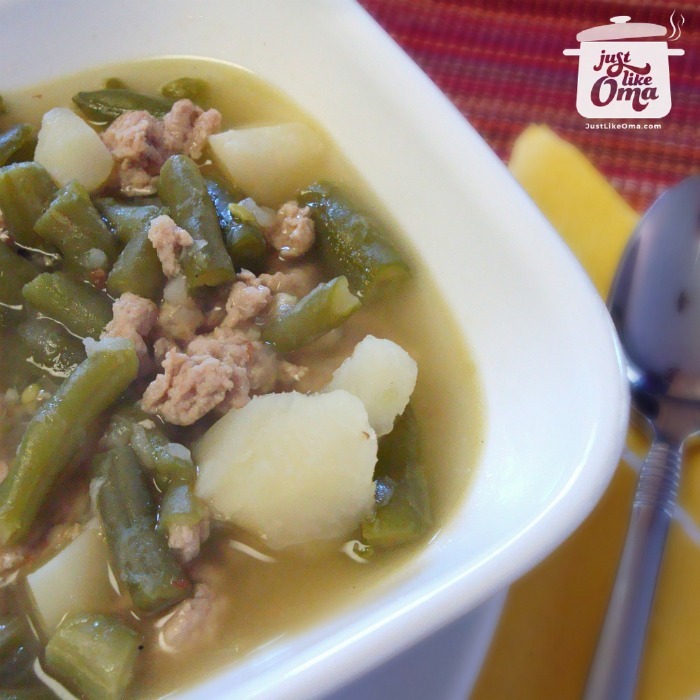 Serve this with rice or boiled potatoes. A salad on the side. Lunch or supper's done! Need help in hard boiling eggs? 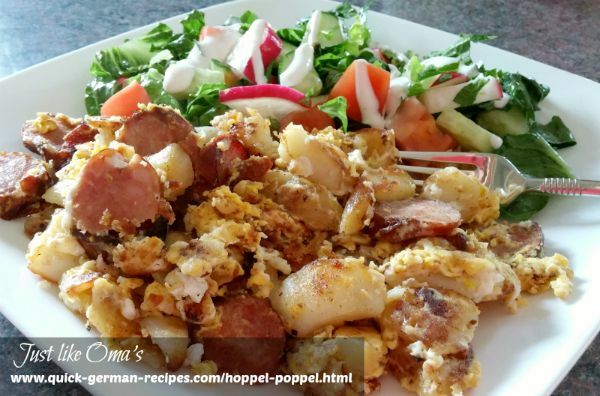 Check out the link: How to hard boil eggs. Eggs are a perfect food ... satisfying ... delicious ... versatile. 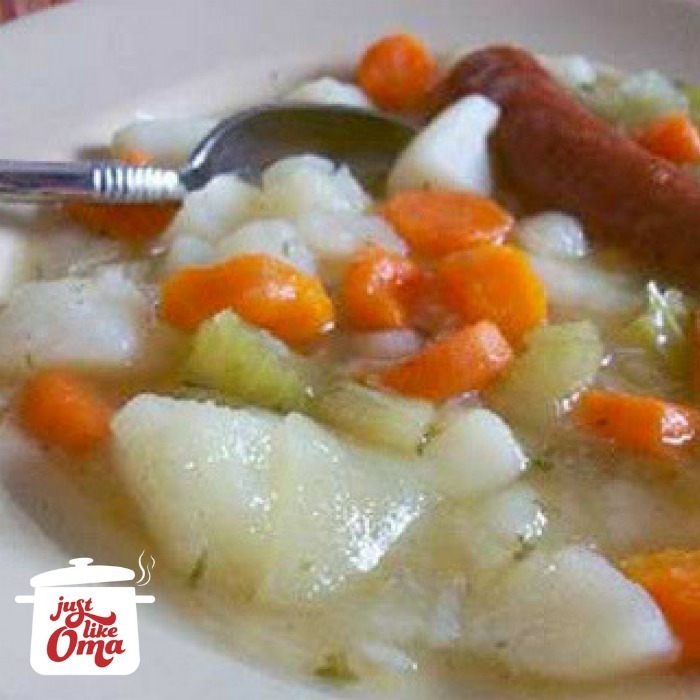 Low in calories, they are a great protein alternative for meat, and also boast iron, vitamins, minerals, and carotenoids. Need help in hard boiling eggs? Try using the oven. Check out how to do that here. 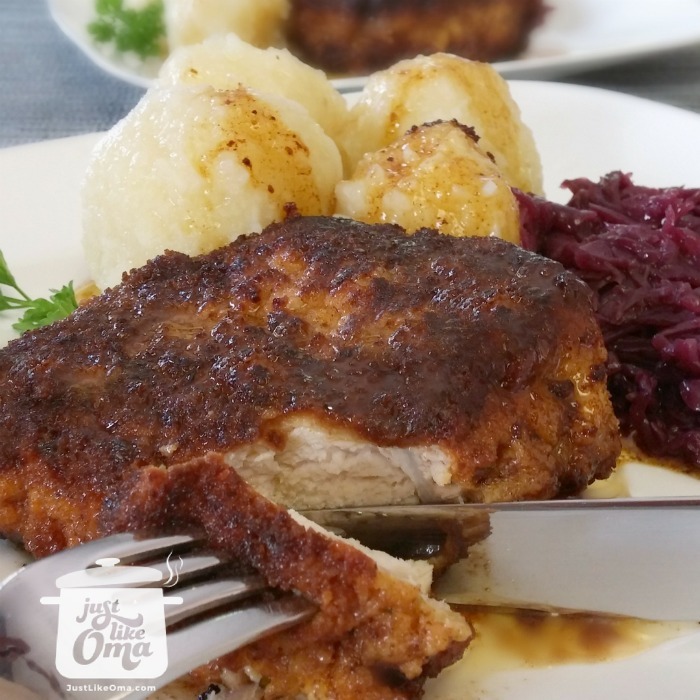 Pork Chop Dinner - so delicious, so quick, so German! "Foolishness brings joy to those with no sense; a sensible person stays on the right path."